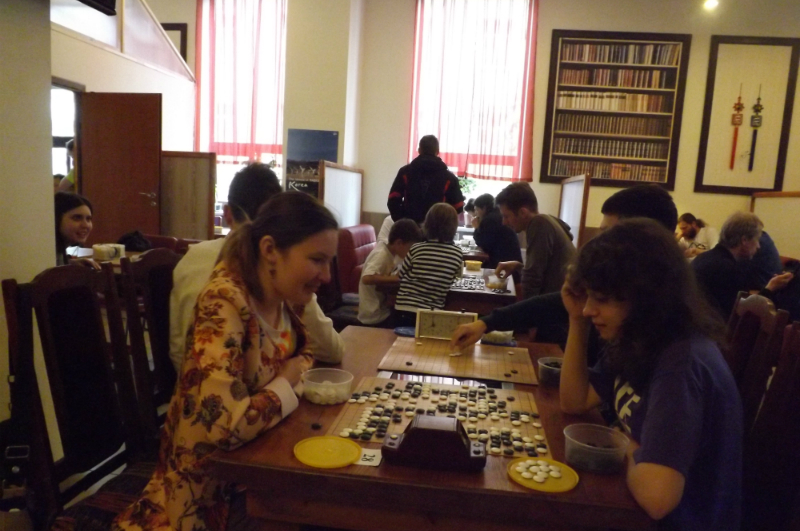 March 29-31 Kyiv Palace of Children and Youth hosted the Junior European Championship game Go. More than 200 athletes from 18 European countries took part in the competition. The first place in the age category U12 won the athlete from Romania Rotarata Stefan, who showed an absolute result, winning all five games. In the age group of U16 Pittner Arverd from Germany won in a tense struggle, and among the U20 – the Bulgarian Djepov Sinan. Also, according to the results of the tournament, Ukrainian Olesya Malko, who deals with Guo in the Rovno Youth Palace, was given the right to represent Ukraine at the World Junior Championships, which will be held in Germany in summer. "The final tournament was very difficult and exciting for all participants, because almost all the athletes to the very end kept the chances to climb the podium. 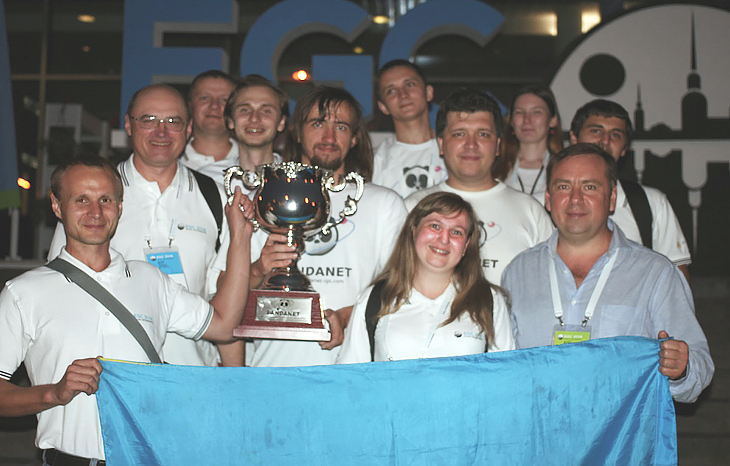 On the days of the competition, professional players taught Go, commented and analyzed the games, took place master classes, participants and guests were shown films about Go", – told the president of the Go Federation of Ukraine, Dmitry Yatsenko. 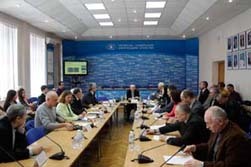 The European Championship was the most significant event that was ever held in the Kyiv Palace of Children and Youth. Partner of the project, head of the International Risk Reduction Fundation Vladimir Kosterin said: "Our players showed a high level of skill and understanding of the foundations of the ancient game, very popular in the countries of the East. Go, as a game contributing to the development of intelligence, creativity and discipline, it is advisable to enter the school curriculum". 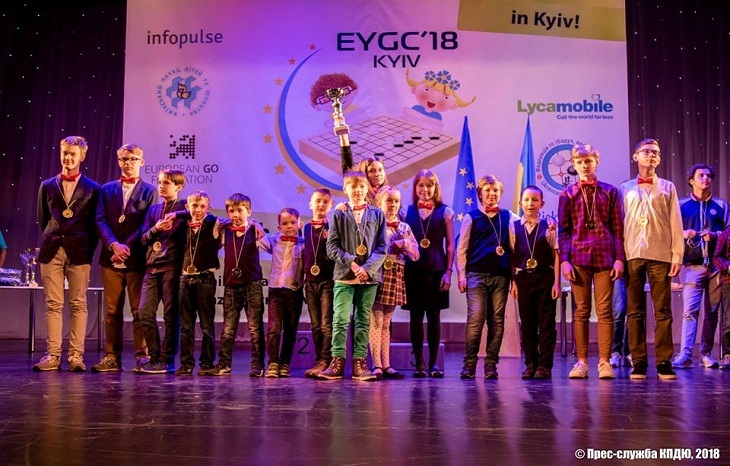 The organizer of the competition was Ukrainian Federation Go, with the support of the Ministry of Youth and Sports of Ukraine and the Kyiv City State Administration.